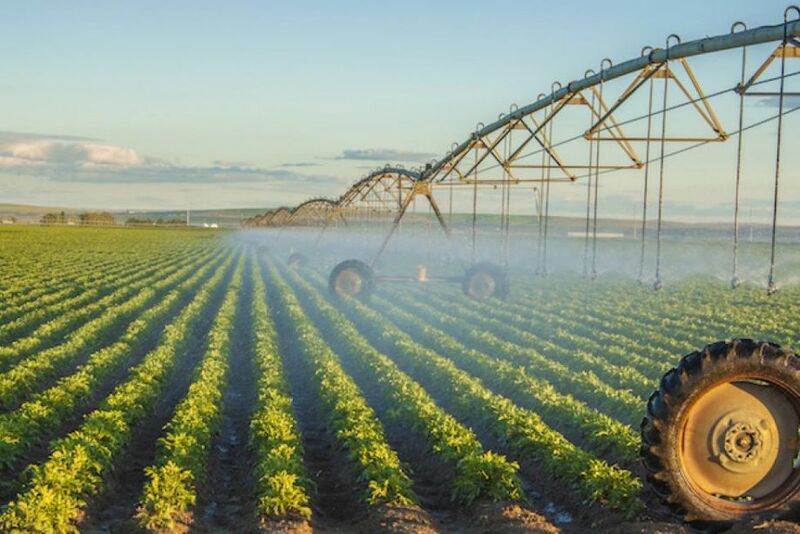 When adopting precision irrigation, the goal is to optimize use of water and energy resources for ideal plant performance for a specific location at a specific time. But how do we ensure the right decisions are made in order to reach this goal? Accurate precision irrigation requires a system understanding. It is not enough to just know the weather conditions or a plant’s growth stage to make effective irrigation decisions. Atmospheric or meteorological processes relevant to irrigation deal with the movement of water in the atmosphere and how much water enters or leaves the surface. Water enters the system as precipitation and then can either infiltrate into the plant root zone, percolate below the root zone, or remain on the surface and/or the plant canopy. The combined effects of evaporation and plant transpiration, know as evapotranspiration (ET), provide a rough estimate of the moisture leaving the surface. Since transpiration varies depending on the plant type, it is helpful to isolate the atmospheric effects on ET apart from plant dependent factors. To that end, reference ET is calculated based on alfalfa or turf to provide a benchmark value for evapotranspiration where the primary forcing for change is due to atmospheric drying effects. Corrections for crop type can then be made to the reference ET by applying crop coefficients. The agronomic processes at work must also be considered to get a fuller understanding of a crop’s water needs at a particular location. The water demand of specific plant types can vary greatly. Larger plants like corn may require more water than smaller crops such as cabbage. The rooting depth of plants will also vary and should be considered when determining if water in the soil is accessible to the plant. Additionally, the leaf area of crops can differ between one another, controlling the amount of transpiration occurring at any one time. While evapotranspiration describes the movement of moisture leaving the surface, accurate calculation of ET depends on the transpiration of specific plant types. Reference ET based on alfalfa or grass would only be good for irrigation support for those plant types, but not others. For other crops, Crop Potential ET is calculated based on simplified growth assumptions of the specific crop that corrects the transpiration in the Reference ET. The caveat here is that Crop Potential ET assumes well-watered conditions and doesn’t account for changes in transpiration under water stress conditions, which can be important. By viewing these three areas of the atmosphere-soil-plant system as a whole, we can see the big picture of the overlapping processes at work. Taking a wider view of current approaches to irrigation scheduling, many take a localized view and focus on specific aspects of this system, such as a rainfall-ET-irrigation budget approach. However the end goal of an irrigator is to make sure that the soil moisture in the plant root zone is kept at optimal levels. Focusing on just aspects of the atmosphere-soil-plant system, such as ET, will only result in a rough knowledge of root zone soil moisture. Precision irrigation requires a holistic treatment of the atmosphere-soil-plant system and the water transport contained therein to ascertain root zone soil moisture. Decisions that utilize root zone soil moisture, accounting for soil texture classes, actual crop evapotranspiration, irrigation events, precipitation events and realistic growth stages will result in optimized irrigation, thereby reducing water use while increasing yield. After all, that is the ultimate goal, right?